Last weekend was Little Lady’s 3rd birthday party. It was a girly bunny theme, lots of pink and purple and hopping kids. For dessert we needed to have a carrot cake of course, but also pink and purple cupcakes (all specifically requested by the birthday girl). I wanted the cupcakes to stand out above the cake so I went out to purchase a 3 tiered stand. That proved to be too expensive, sure I would use it once a year or so but just didn’t want to spend the money. I searched around for a quick and easy disposable stand I could make, and Pinterest did not disappoint! 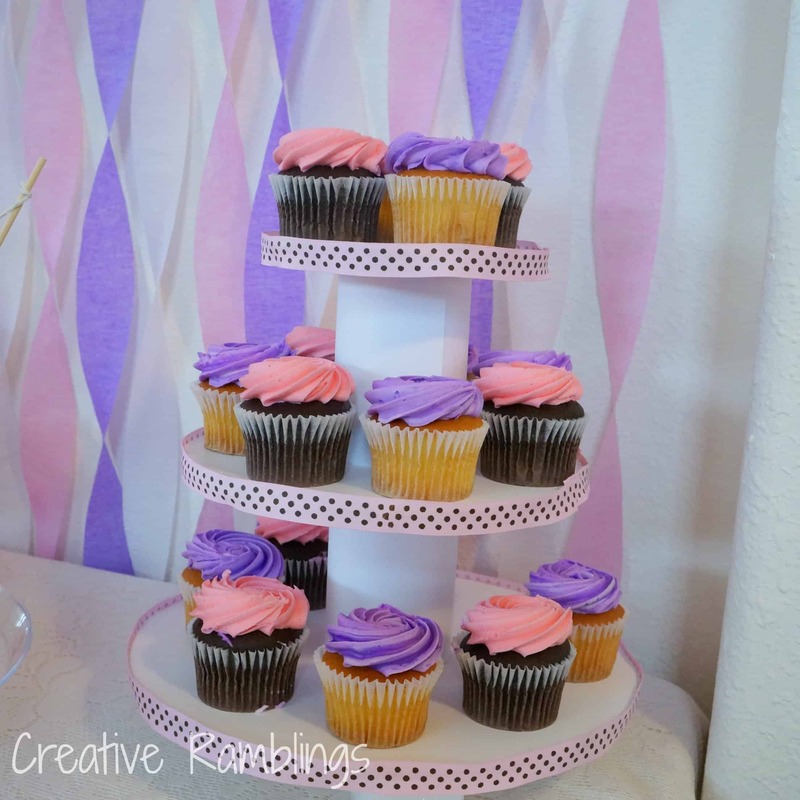 Classy Clutter’s DIY Cupcake Stand is an easy to follow tutorial for a cupcake stand she made for her son’s birthday. Just what I was looking for. She has a nice detailed tutorial I encourage you to check out. I followed it for the most part with a few alterations. 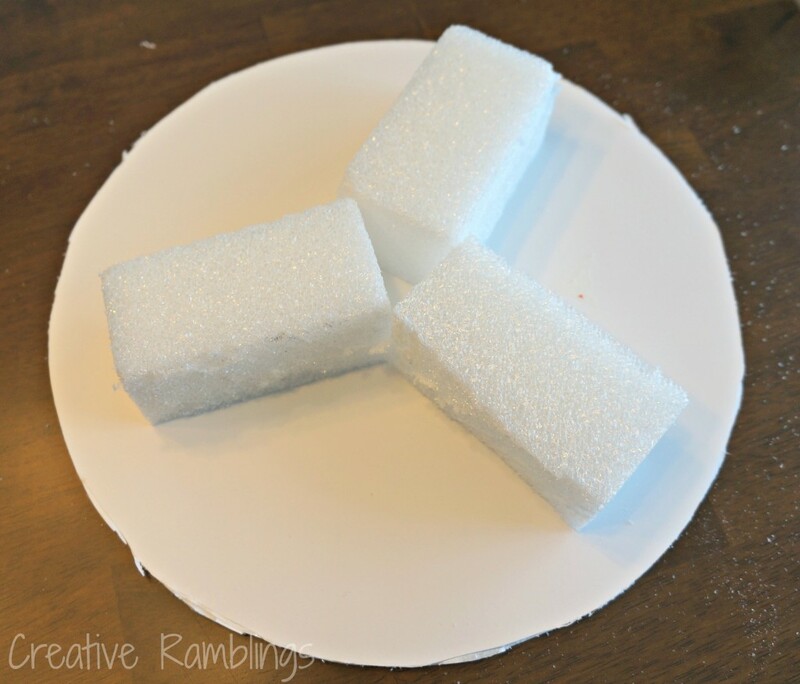 I measured 3 circles at 12″, 9″ and 6″ then cut them using a craft knife. I tried to get a smooth edge but it doesn’t have to be perfect, it will be covered with ribbon. For the base of the stand I cut 3 small rectangles from a larger rectangle of Styrofoam. I arranged this on the bottom and secured with hot glue. 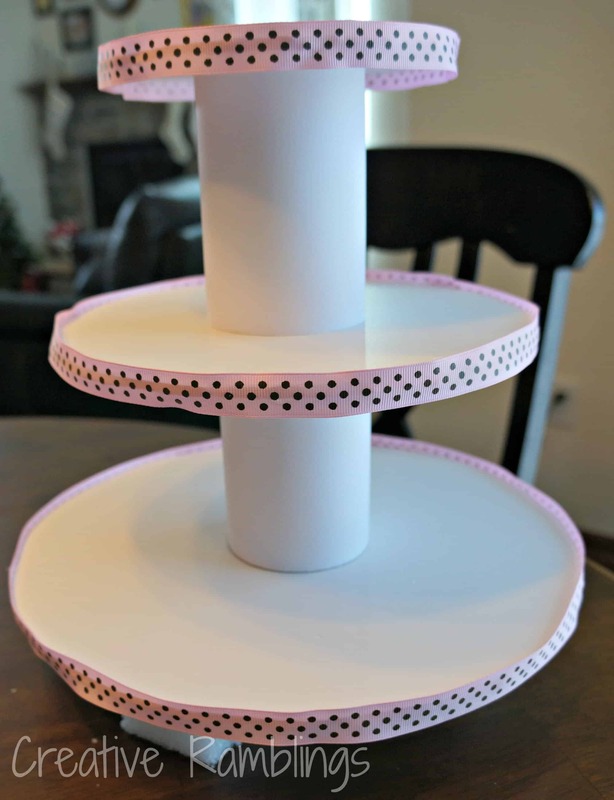 To conceal the edges of the circles I hot glued ribbon to the edges of each tier. Then to assemble I just stacked the circles on paper wrapped cans. 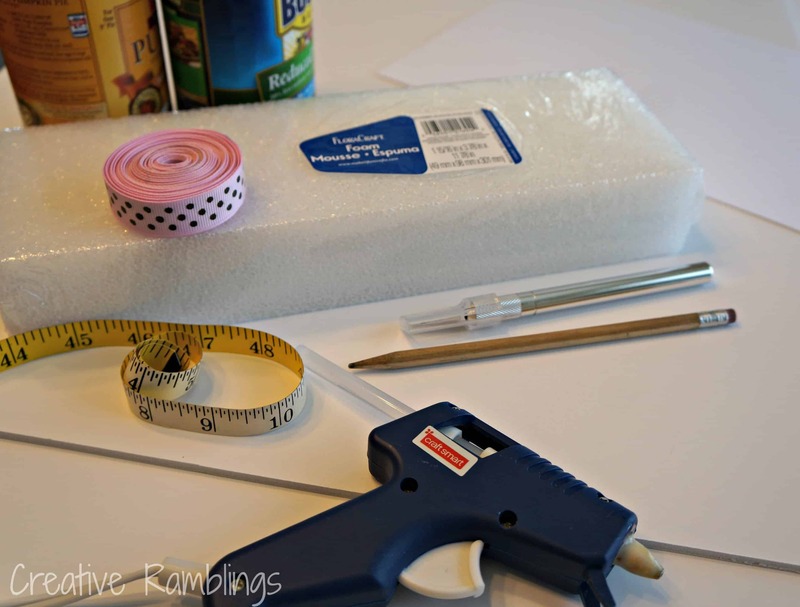 No glue necessary. This served my purpose and fit all 24 cupcakes, the bottom circle can hold more than shown. I could reuse this but after a long party and lots of sticky fingers in the trash it went, and for the couple bucks I spent I was ok with that. I saw this on pinterest, too, but never tried it. You did a great job. I kinda like the fact that it’s disposable. 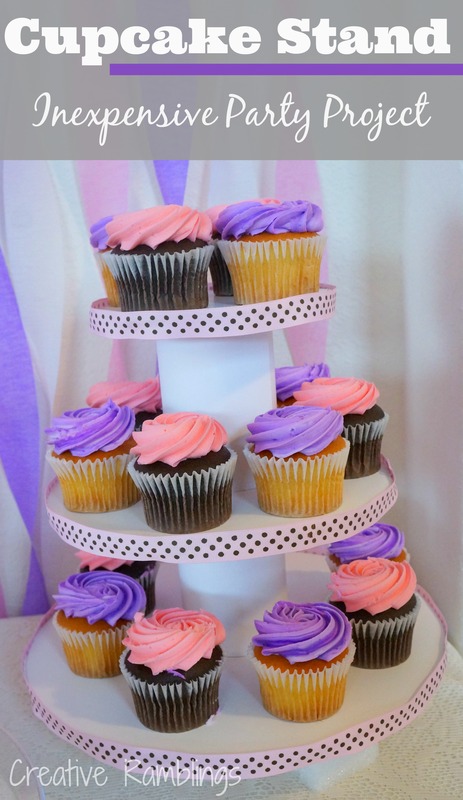 And those cupcakes look really tasty! Thanks Alli, the cupcakes were delicious unfortunately no leftovers for us to enjoy the next day. It turned out so cute! Awesome job, Sarah! Have a great week! This is great! I was just looking at cake stands a the store today! Oh my!! That was so easy to make. You are so creative. Pinning.